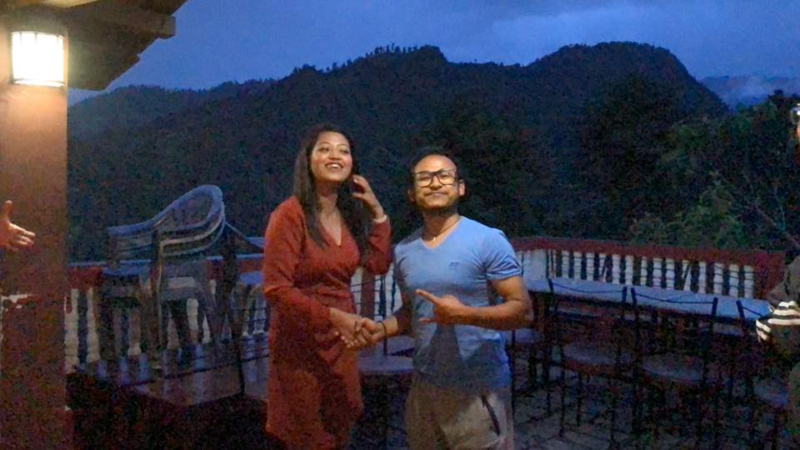 On 18 August 2018 we went for a company retreat at Balthali Village Resort. 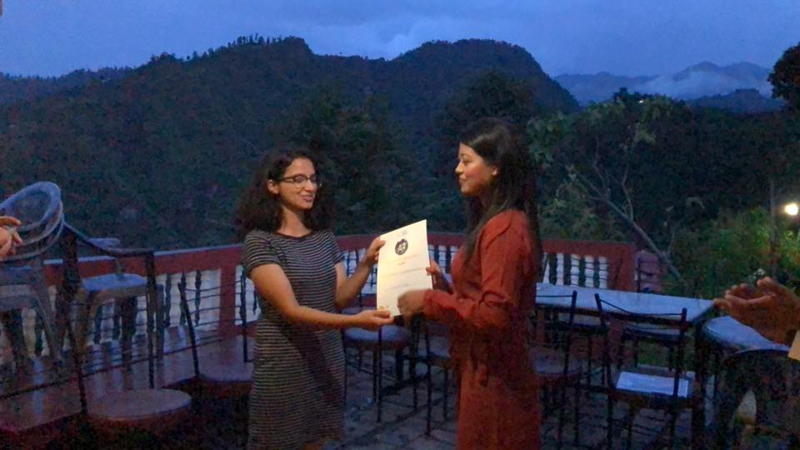 Amongst the hiking, laughter and fun, the first Company Awards ceremony was also conducted, giving certified recognition to our family of superstars! Here at ACT360, we strive to be fun and innovative in our work process and the way we do things. Doing things the old, boring way holds no appeal to us, so we’re always changing to stay true to this value. 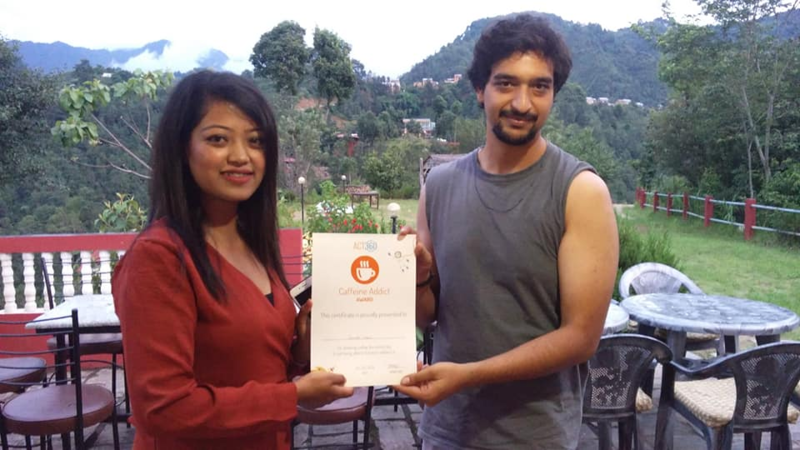 The Fun & Innovative Award went to Suraj, for coming up with new fun ways to do regular work. ACT360 places high importance for ensuring that our customers are successful. Whatever we do, we put our customers first and foremost. Our first customers are our own employees, so we also make sure that they are successful in all ventures that they undertake. 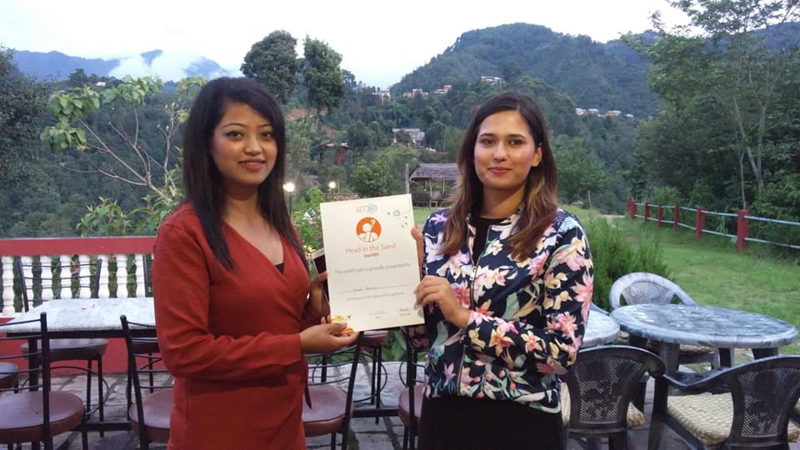 The Ensuring Customer Success Award went to Deepali, for being so concerned about the customer’s needs that she’s ready to debate with the management as well. We understand that the industry we work in is ever changing and hence, we need to be adapting and learning new things constantly. Whether it be a new way to brainstorm ideas, communicate, or revise our whole work process, we’re always ready and striving to learn new things. 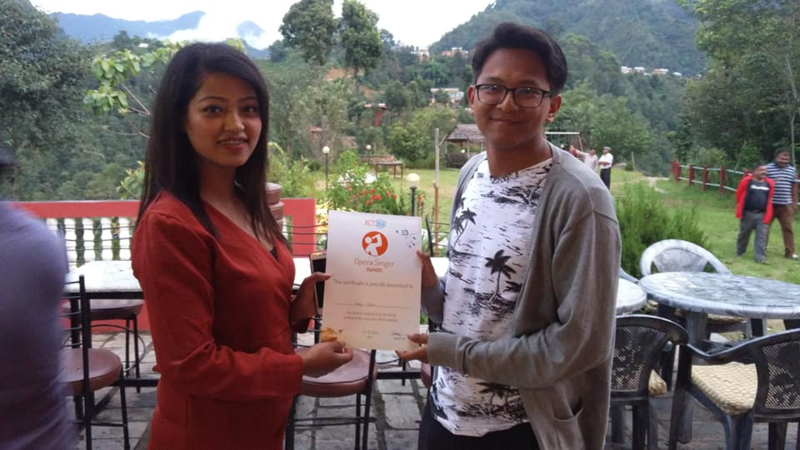 The Thirst for Learning Award went to Santosh P, who deserved it because he’s always learning something or the other and developing himself personally and professionally. ACT360 is a family of superstars. We hire only the best, recognizing the potential in them to both do awesome things, and become an integral part of the family here. We’re always constantly inspiring ourselves, and place great value in our teams and building our capacity to deliver. 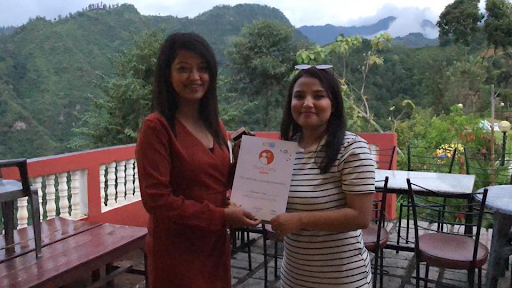 Samrachna was honored with the Family of Superstars Award, for having the potential and drive to become an extremely bright superstar in the future. ACT360’s core purpose is to constantly Do Awesome Things. We interpret this as trying to do amazing things both at work and in our personal lives, so that we can ultimately become the best at what we do. 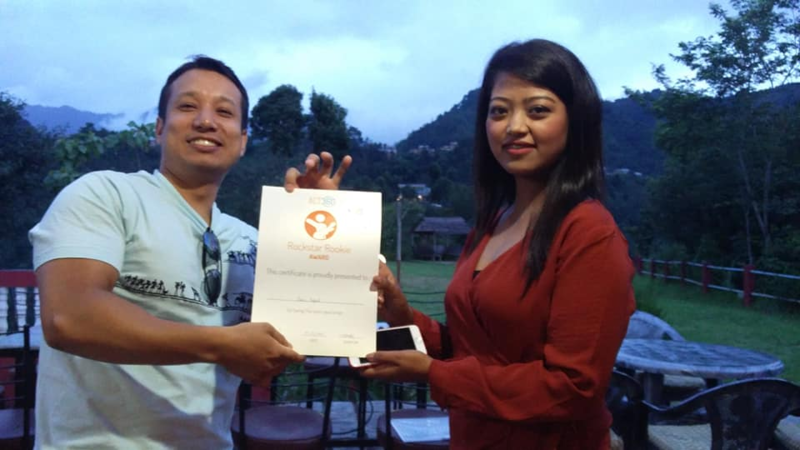 Prajwol got The Awesome One Award, for always sticking to our core values and doing awesome things constantly. Some additional humorous awards were also given to the members of our family of superstars. Madalasha won the Chatty Cathy Award, for being the most talkative one in the office. It was a close contest between her, Yuyutsav and Sambhawi. The Opera Singer Award went to Sagar, for always singing and not being bothered by others’ opinions. 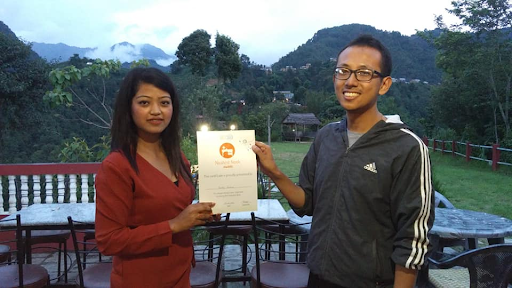 Although Madalasha and Amod were also nominated for the award, Sagar was the clear winner. The Office Fashionista Award went to Bishaka, and although she wasn’t present at the retreat to claim it, it was a well-deserved award. It was a close call between her, Eren, Madalasha, and Suraj. The Office Hipster Award went to our very own Amod, for having the messiest desk in the office. It was a well deserved award, although Cheteze and Prawesh were deserving nominees too. Tenzing won the Neatest Nook Award (the most important award, according to him anyway) for having a super organized and clean desk. It definitely is true, but Samrachna and Bishaka came close to winning it as well. 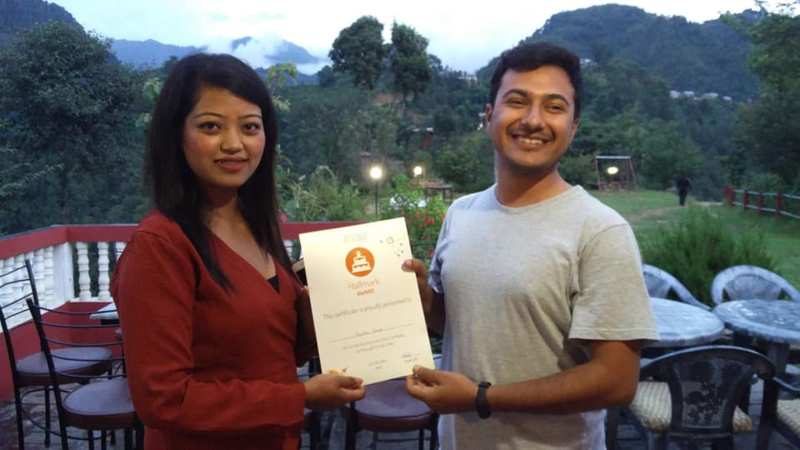 Prithivi bagged the Picasso Award, for the coolest digital modifications to the Monday doodles. Although Suraj and Sophiya were nominated too, he was the clear winner. The Hallmark Award went to Yuyutsav (of course), for remembering everyone’s birthdays so they can get to eat cake. The nominees weren’t even mentioned (Tenzing and Eren) because as soon as the award was announced, everyone knew who would be getting it. Suraj won the It’s 5 o’clock somewhere Award, for always being punctual when leaving the office. This one was a very close decision though, with Bishaka and Samrachna being deserving nominations. The Head in the Sand Award went to Deepali, for having no idea what’s going on around her when she works, although Sagar and Santosh P were deserving nominees as well. 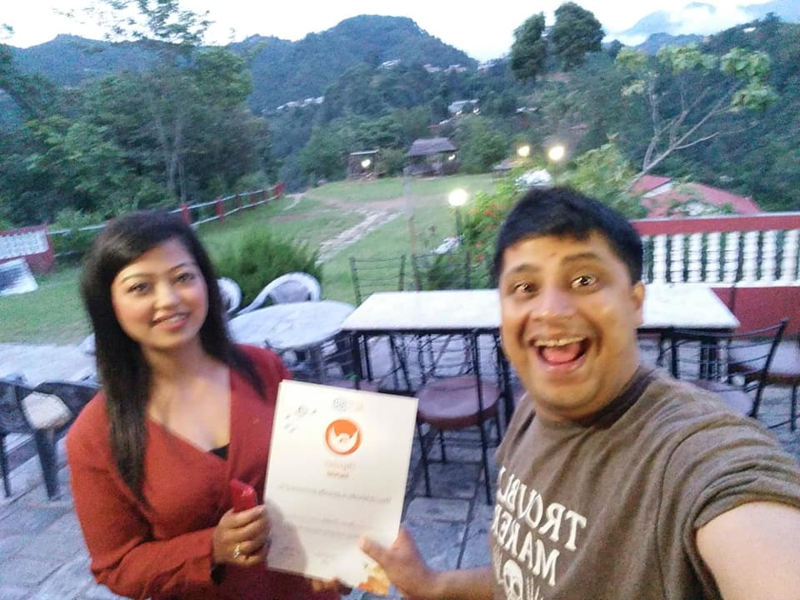 Sumukh won the Caffeine Addict Award, for drinking coffee the entire day and not being functional without it. Even though Prajwol and Santosh P were nominated along with him, he was the clear winner by a wide margin. Santosh JS deservedly got the Brightest Smile Award, for having a bright smile and brightening up our day, although Amod, Cheteze and Deepali were also in close contention. 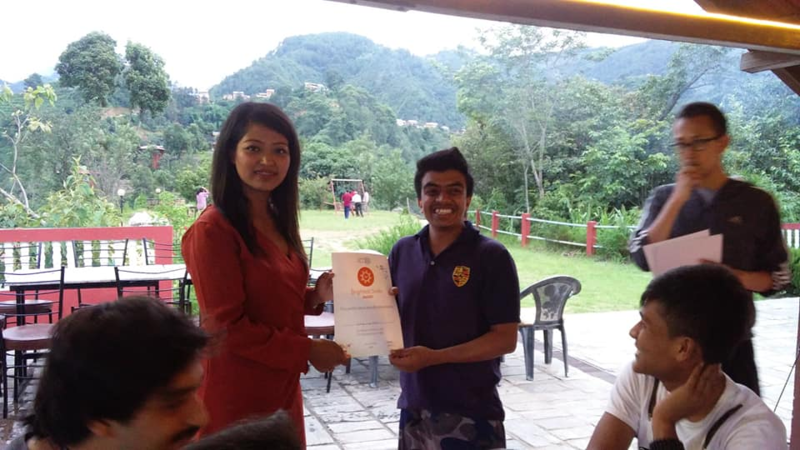 The Rockstar Rookie Award went to Basu, for being the best newcomer who joined us in the last three months. 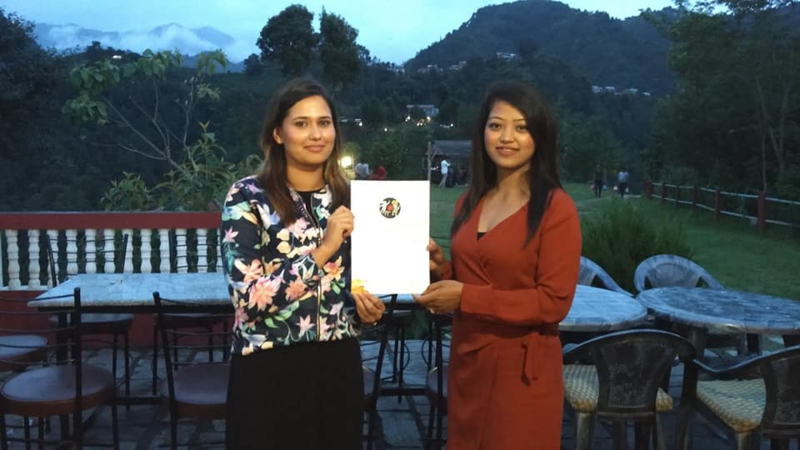 The other nominations were Sambhawi, Sophiya, and Rijan. The company awards are slated to be annual event starting from this year.